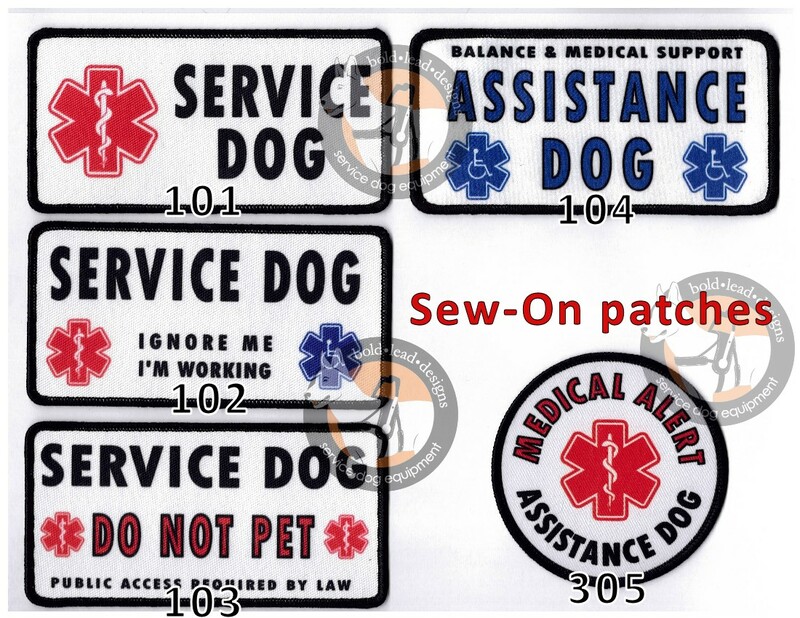 These basic sew-on patches have plain backing, so you can sew them onto your dog’s gear. Digitally printed on soft, flexible polyester fabric, finished with a black merrowed border. Colorfast and washable! NOTE: Service Dog/Assistance Dog badges/patches are not for pets! LEGITIMATE SERVICE / ASSISTANCE DOGS ONLY. WE WILL ONLY SELL THESE ITEMS TO PEOPLE WITH A MEDICALLY NECESSARY SERVICE ANIMAL. NOT FOR PETS. IT IS ILLEGAL TO IMPERSONATE A SERVICE DOG. BLD exclusive designs! Designed in Colorado. Imported. I certify that I have a medically necessary service animal individually trained (or in training) to mitigate a disability.